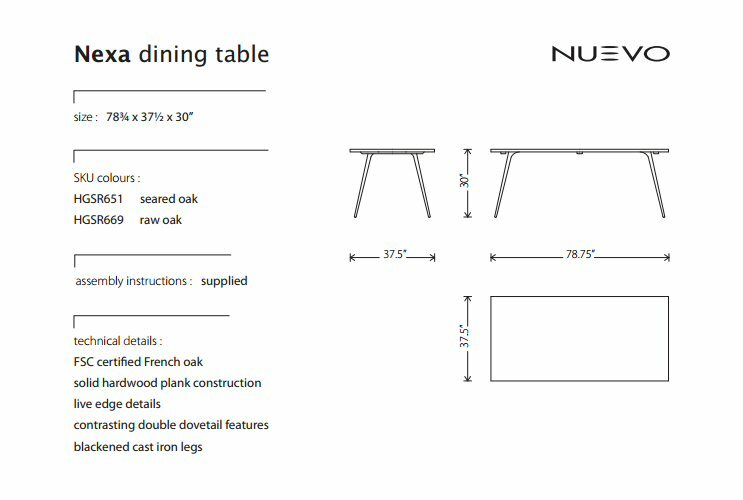 Nuevo Living Nexa dining table is ideal for compact urban homes and other small spaces. 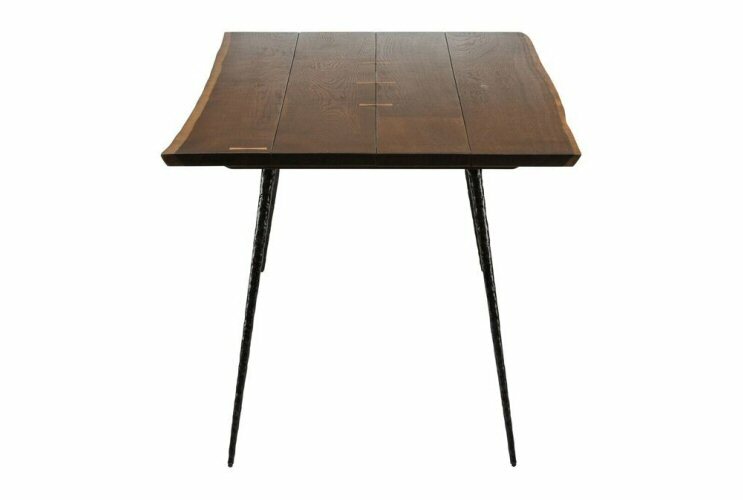 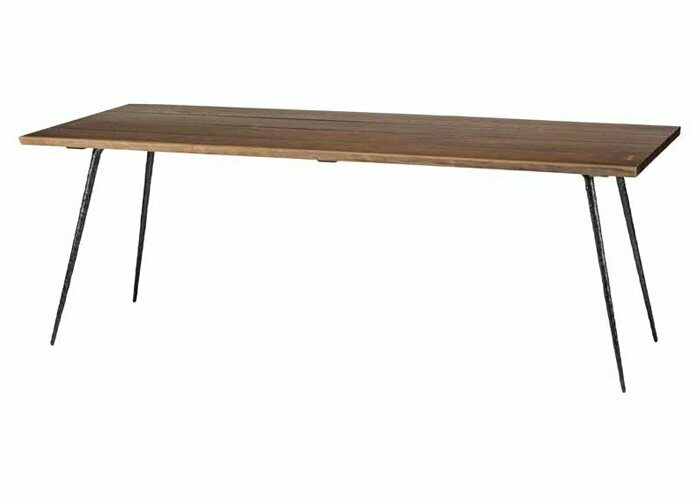 Forest Stewardship Council-certified solid French-oak top rests atop Atomic Age inspired, Industrial Age adjacent cast-iron legs. 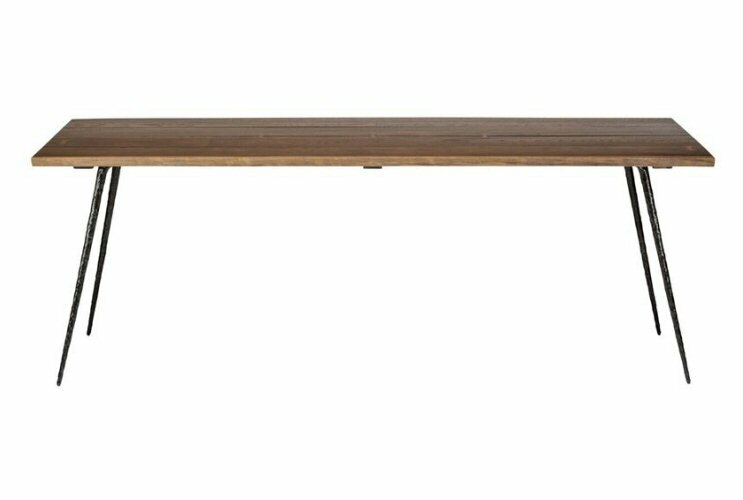 Live-edge and high-contrast double-dovetail features add interest to this fine example of Organic Modern.